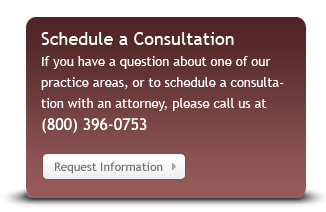 We limit our practice to just a few areas, and we only represent plaintiffs. With more than 70 successful jury trials under our belt, we founded this firm with the twin goals of delivering personal attention and outstanding results. We help individuals who have been hurt as a child or in a nursing home; by exposure to asbestos or another toxic substance; or by the disease mesothelioma. We help the families of those who have suffered a wrongful death, who have been injured by a defective product, or who have been hurt in an auto accident. And we help workers who build our country: in construction, on the railroad, and at sea. We have been working in the courtrooms throughout California for more than two decades. At trials all over California, we have told our clients’ stories. Using the latest tools and technologies, we have simplified extremely complex cases that involved millions of pages of documents so that juries could understand our clients’ plight. We are proud of what we do and of whom we have helped. The attorneys at Harowitz & Tigerman represent clients throughout California including San Francisco, Oakland, San Jose, Sacramento, Los Angeles and other communities in the state of California. Please contact us so that we can put our experience to work for you.